Responsively designed website focused on a web presence & showing clients what they can do. 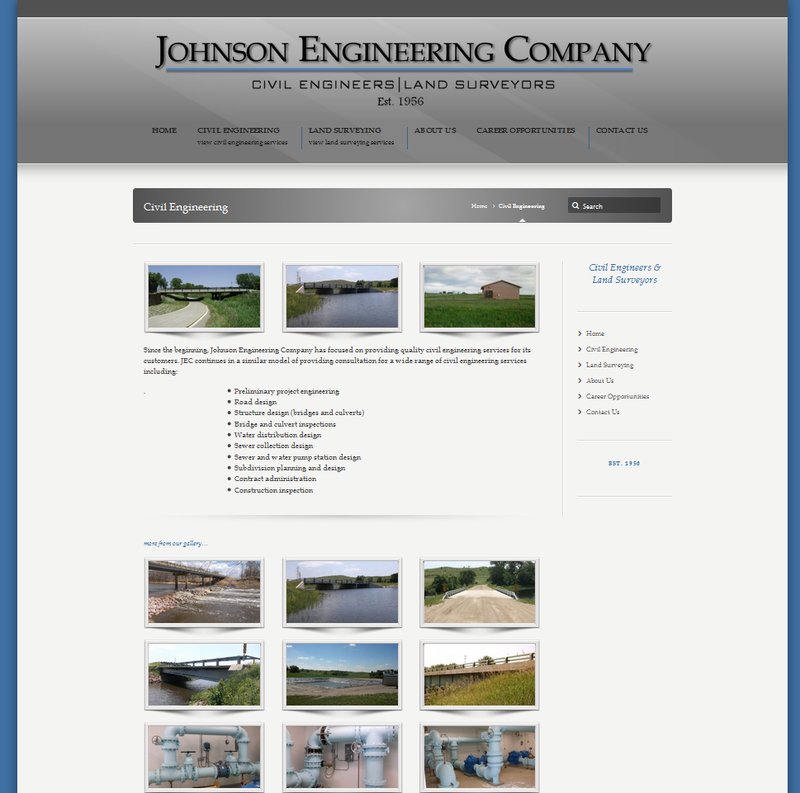 Johnson Engineering Company needed a web presence in order to compete. Contacting Heartland Internet Solutions was their first step. Our pricing structure was right and the way we were able to have previews before full release made them comfortable with us. Heartland Internet Solutions was able to create a search engine friendly, responsive website and continues to update the site as they need. Thank you to Johnson Engineering Company for choosing Heartland Internet Solutions for their website needs. Galleries and list of services.